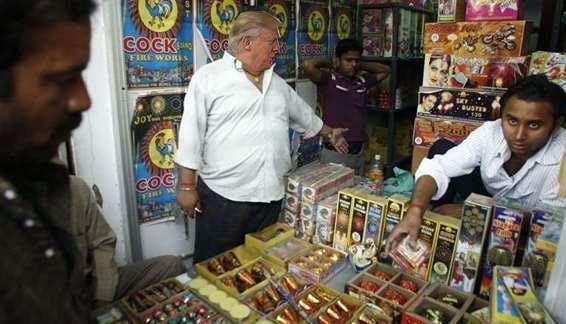 ﻿ Now that's what u call enforcing a BANN on crackers.... President Trump had to come down himself in mumbai to buy some crackers! Now that's what u call enforcing a BANN on crackers.... President Trump had to come down himself in mumbai to buy some crackers! Now that's what u call enforcing a BANN on crackers.... President Trump had to come down himself in mumbai to buy some crackers! Damn, how much they have changed!